Try it free for 1 day! Made for DevOps, Developers and Web Designers. Access your machine via SSH behind firewalls. Instantly connect to a remote computer behind a firewall/router via VNC without having to setup port forwarding. Expose your local server to the internet. Test your APIs on mobile devices without having to deploy code. Receive 3rd party webhooks (ie. Stripe, Github, etc) directly on your localhost. Develop and test Facebook apps in your own environment. Share localhost while remote pair programming. Show your work to clients or co-workers directly off your computer. No more FTP! Check how your design looks on other devices. Test your UI in cloud browsers. HTTP(S) tunnels with password protection (HTTP auth). 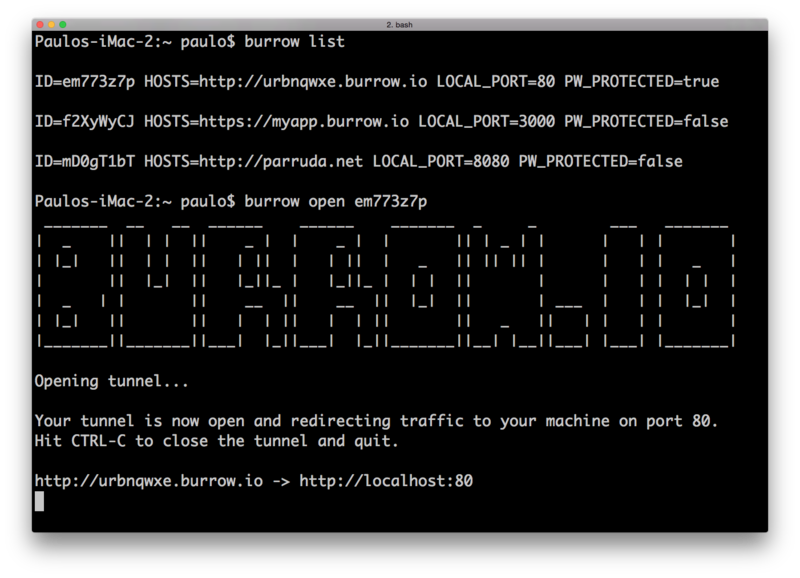 Custom domains for HTTP(S) tunnels with up to 5 URL's per tunnel. Secure TCP tunnels with firewall rules via Security Groups. Manage multiple Security Groups to allow/deny access to IPs or Networks. or $4.99/month on the Monthly plan! 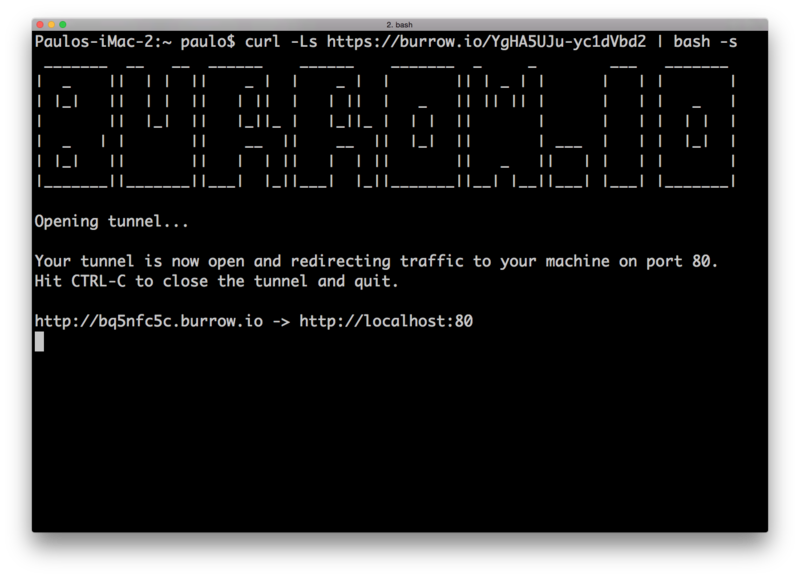 Set up a tunnel to your localhost in only 3 steps. No downloads! 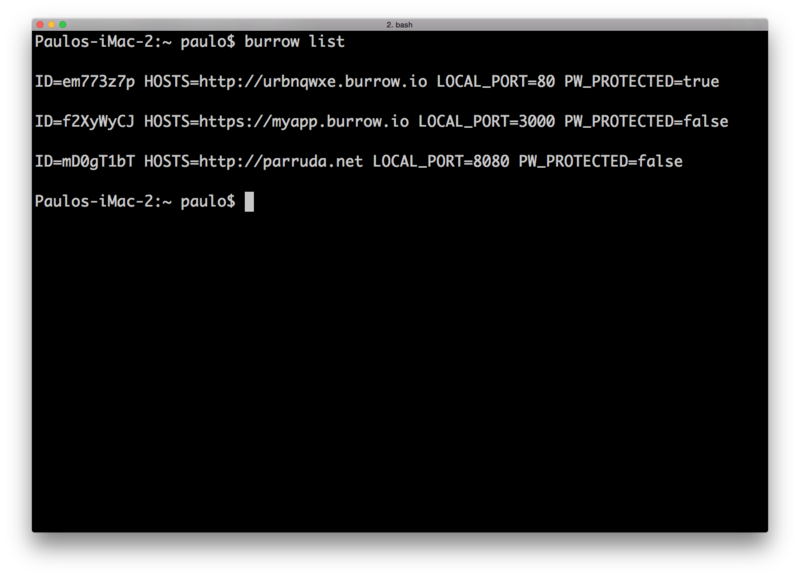 Tell Burrow which port of your localhost you want to forward the traffic to. 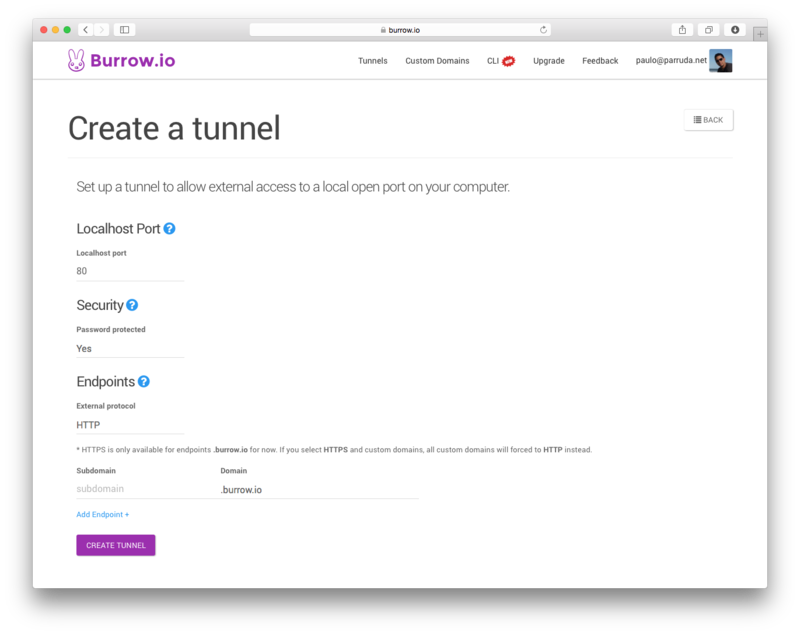 Choose if you want to protect the tunnel with your login credentials at the security section. Leave the subdomain blank to auto generate, or pick your own. The next screen will confirm the tunnel is set up, and ready to go. Note the URL generated automatically for you. You will use this URL to access your localhost through the tunnel. Now open a terminal and paste the command to start the tunnel. 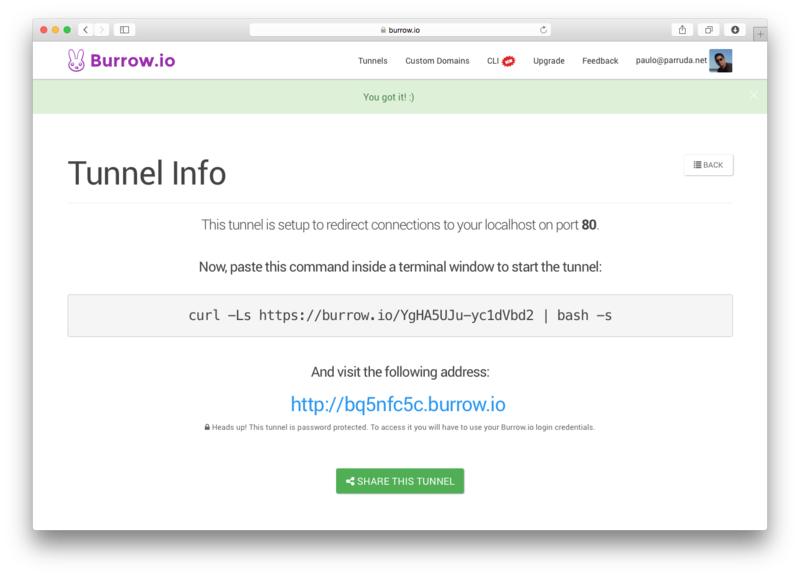 Once the tunnel is open you can access it using the URL generated. Don't want to leave the command line? You can list and open tunnels from the command line. We are working on adding more features soon.